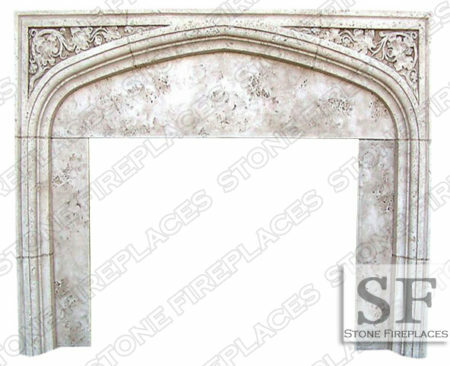 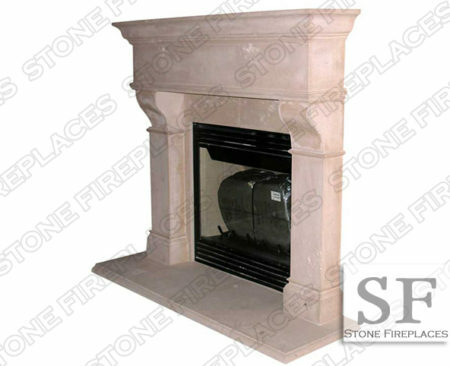 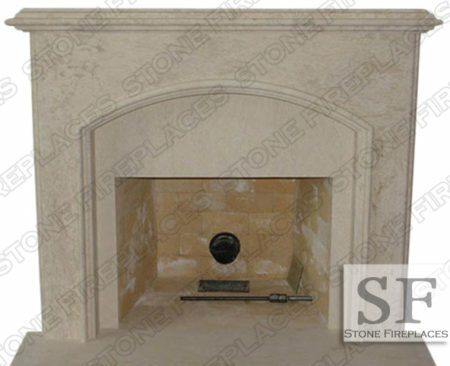 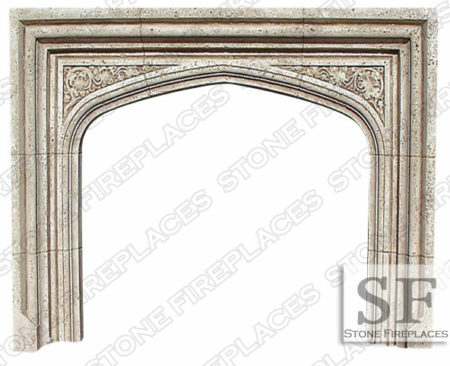 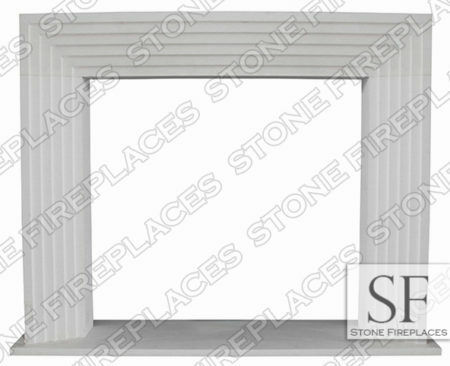 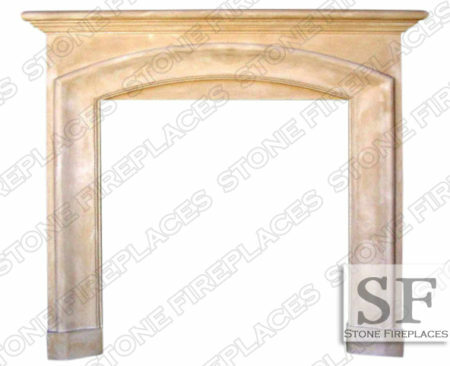 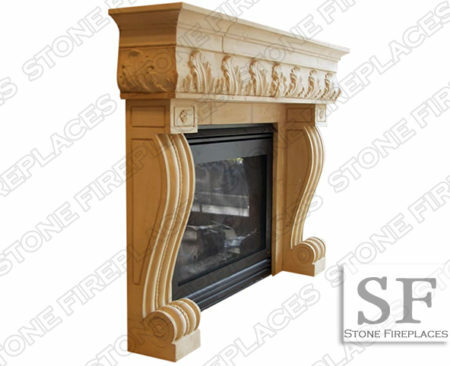 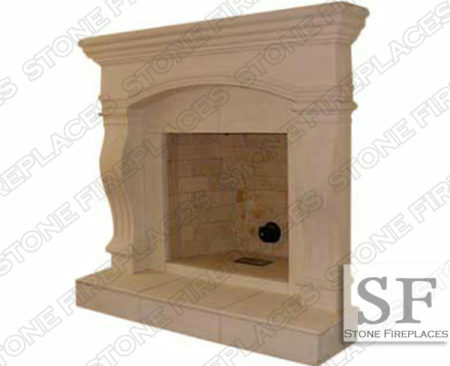 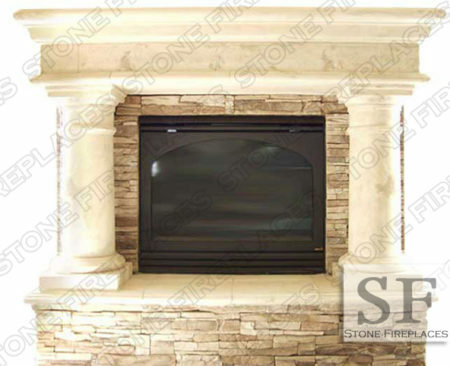 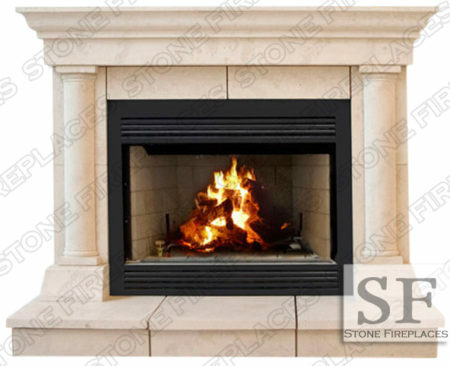 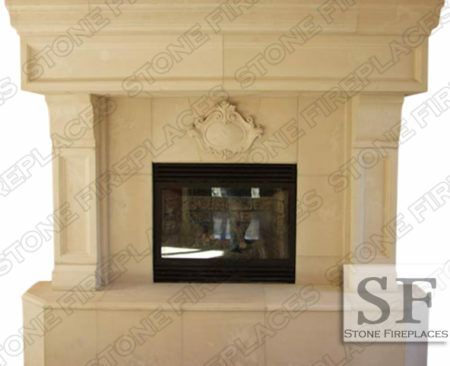 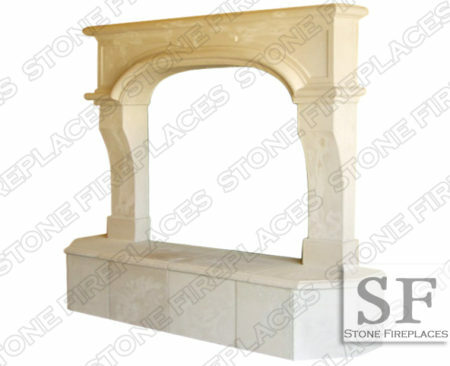 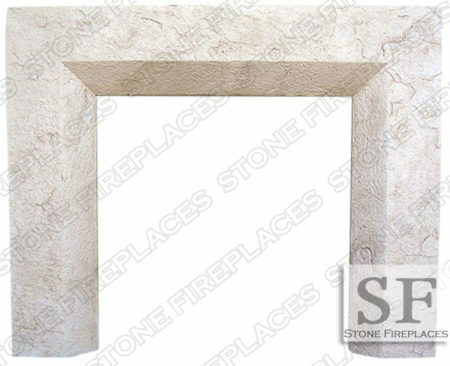 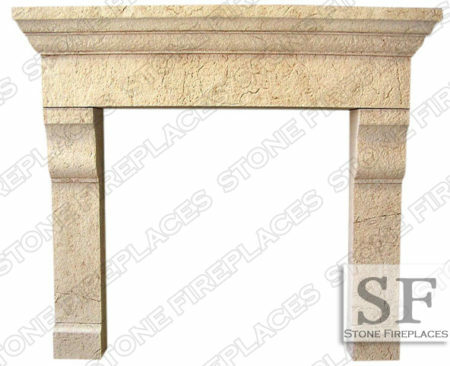 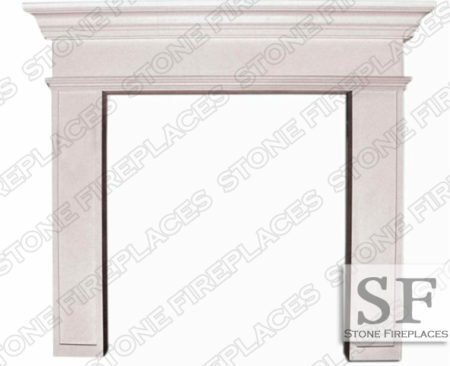 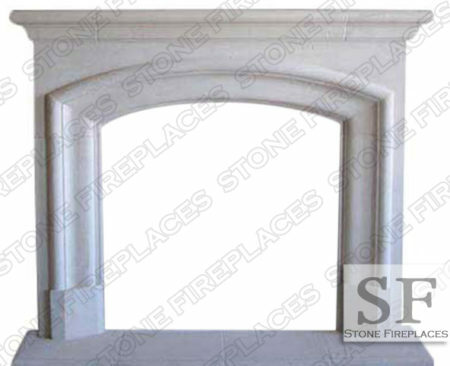 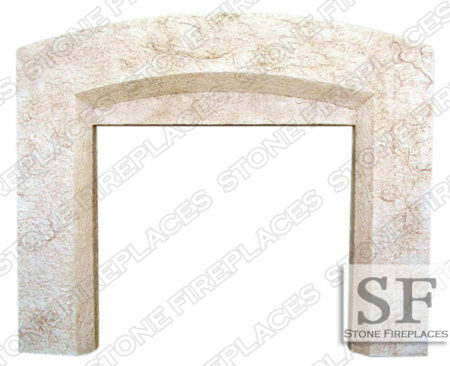 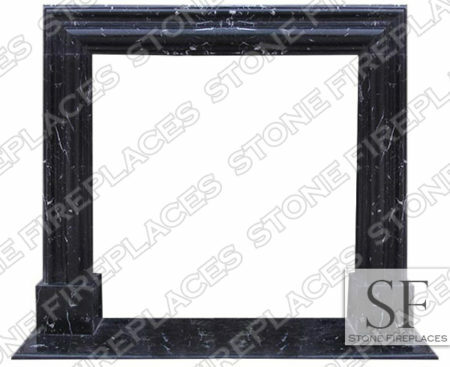 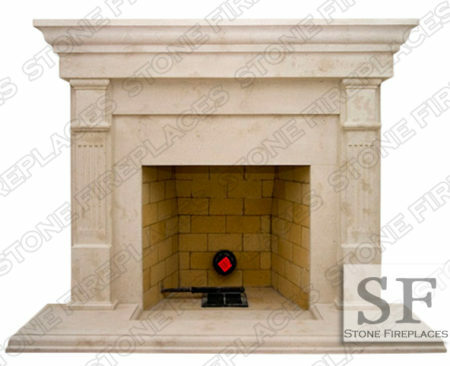 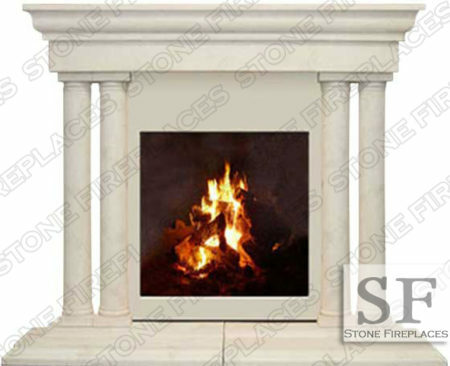 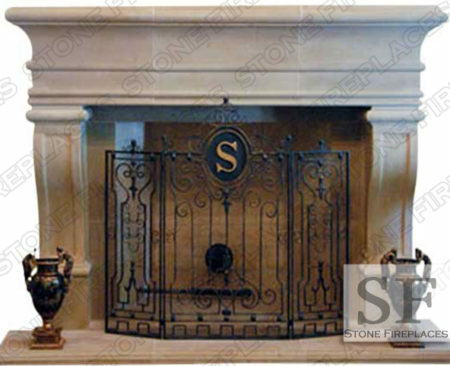 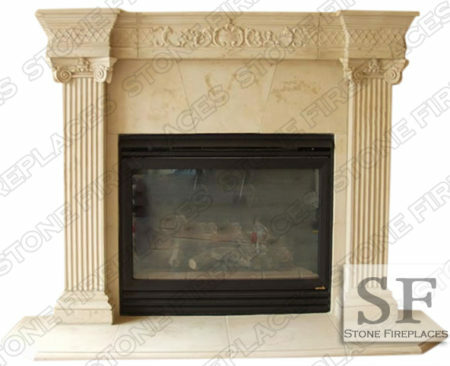 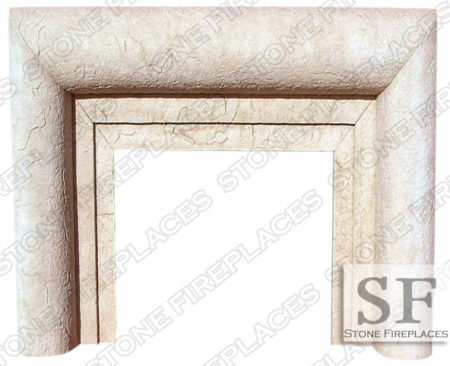 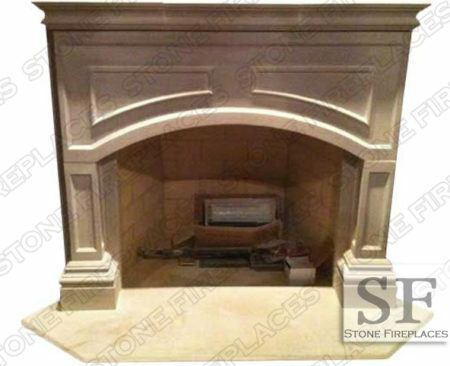 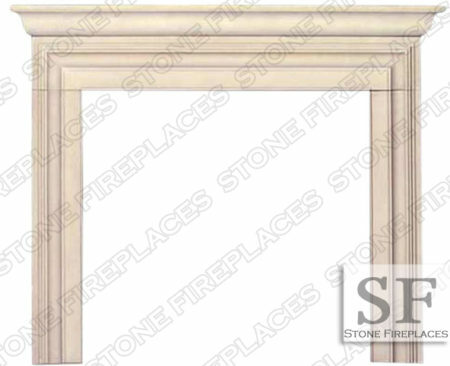 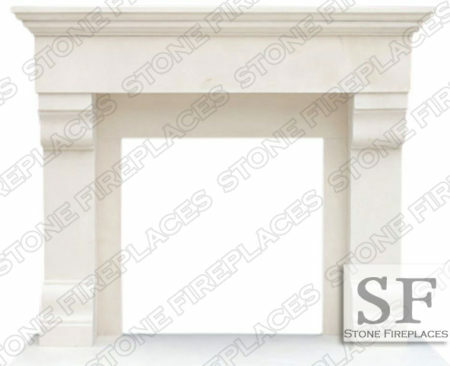 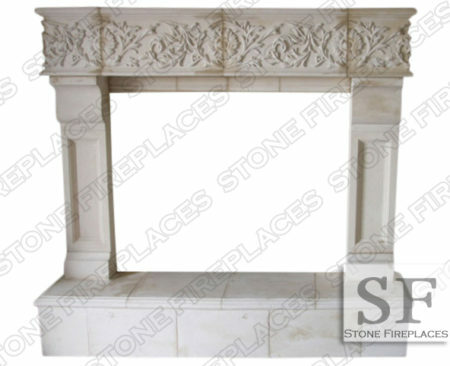 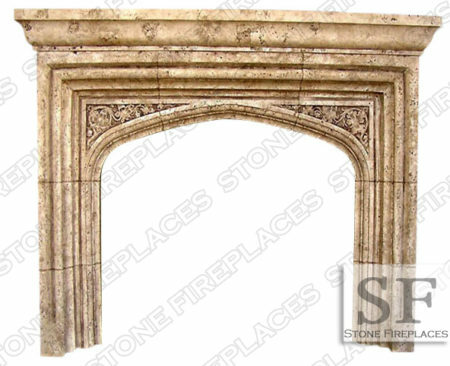 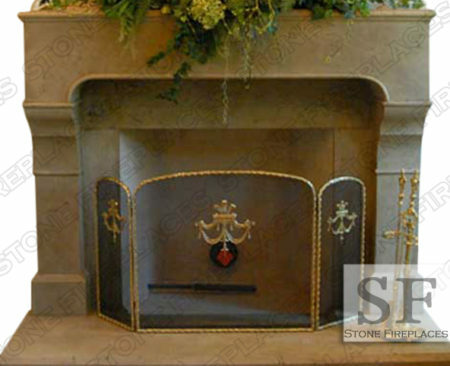 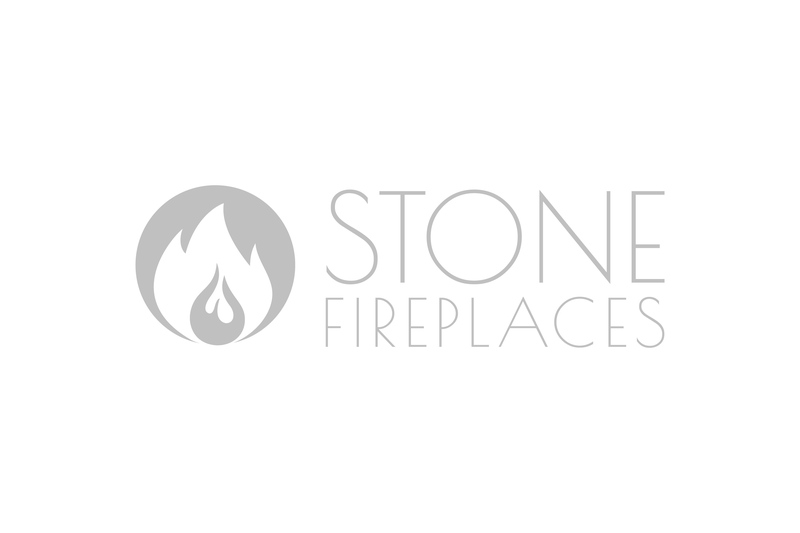 The Rhodes cast stone is an ancient style fireplace mantel surround available with fluted or smooth columns. 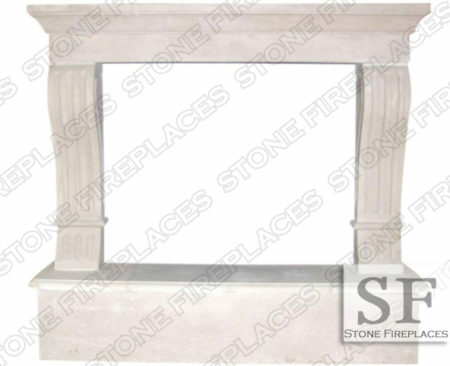 The pictured columns are cast stone fluted Roman Corinthian with an attic base. 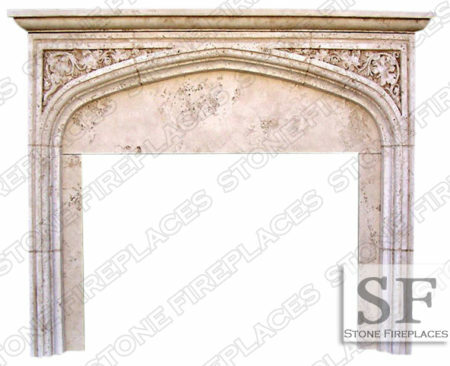 The mantel shelf has added corbel details. 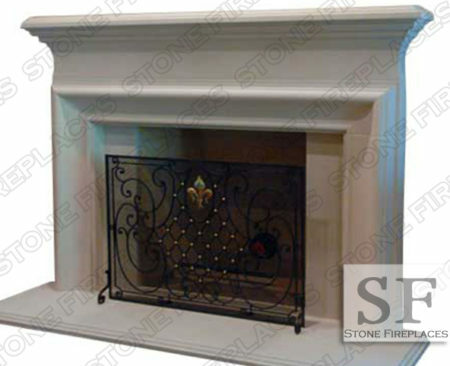 This is a great example of a traditional Italian fireplace style. 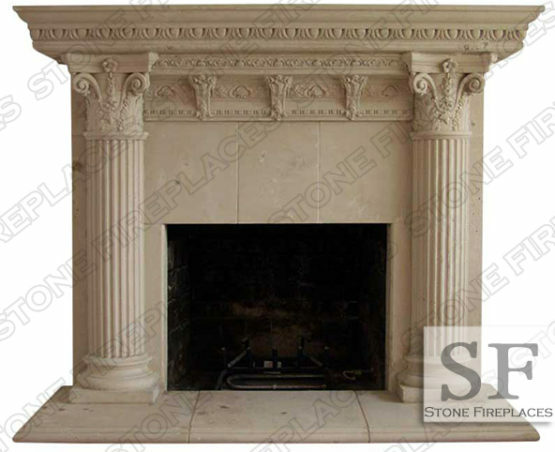 It has a lot of old world Italian design with the columns. 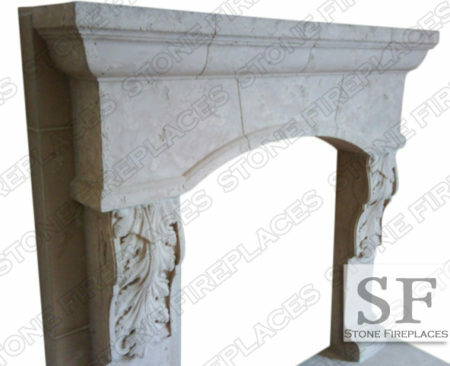 These historic replica styles can be carved from marble.